And that’s exactly what I did. I went back to Mario Brothers, and through a bunch of trial and error and learning what my limits were, I eventually completed the first level. That’s as far as I got, but it was enough to prove to myself that I really could do this. I began playing more games, experiencing both success and failure in varying doses, but I was hooked. Even with all that, however, that doesn’t necessarily mean we can actually play the game. There are, in fact, far more games out there that we can’t play than games we can. For example, games with a lot of gunplay are almost always out, because no matter how good the sound in a game is, it’s not good enough to tell us exactly where our gun is pointed. There are a few exceptions to this, but not many. Roleplaying games (commonly known as RPG’s) are also almost completely impossible to play. These are usually long, story-driven adventures that unfortunately tend to throw a bunch of text on screen, which we as blind gamers don’t have access to. Even playing on a computer using a screen reader, these games are inaccessible, because the text is part of the game’s video image, and isn’t sent to the screen in the same way text is delivered for web pages and so on. Therefore, screen readers cannot interact with it. Some RPG’s are surprisingly accessible, actually, but none are fully, 100% playable by the blind. 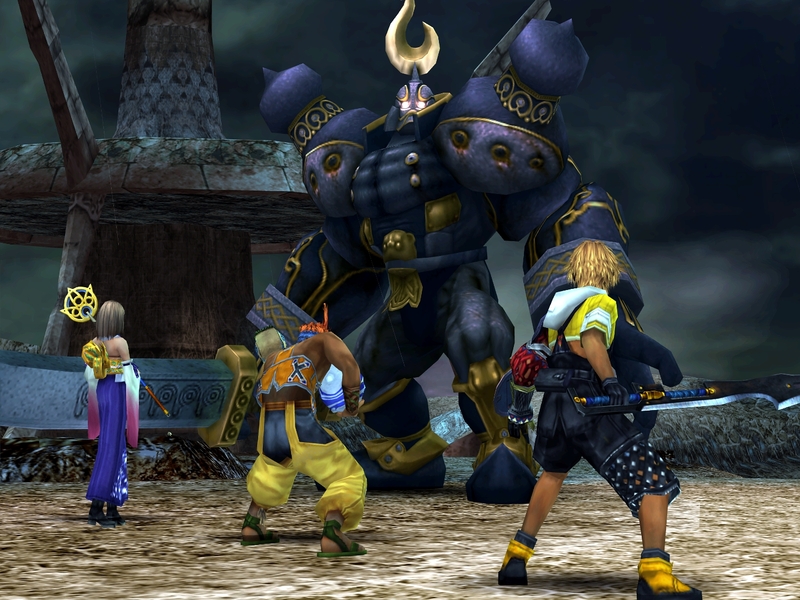 Final Fantasy X, the tenth entry in a very popular RPG series, is almost entirely playable due to its relative simplicity and spoken dialogue. Walking to your next objective is never too hard because the individual game maps aren’t complex, and there are environmental sounds and music that help you along the way. Combat is not hard because it’s all menu-based. Remember when I talked about memorization? Yeah, that’s one of those games you really need it for. Each character you control has a different menu, but master them all, and you can take down even the toughest of opponents. So while some genres are notoriously inaccessible, on the other side of this coin we have games that naturally lend themselves to accessibility for the blind. Fighting games are the greatest example of this, especially one that take place on a two-dimensional plane. In these, no matter how cool and complex the battle arena you’re fighting in might look, in terms of gameplay you’ll always be facing across from your opponent and anything action you perform will be directed towards them. 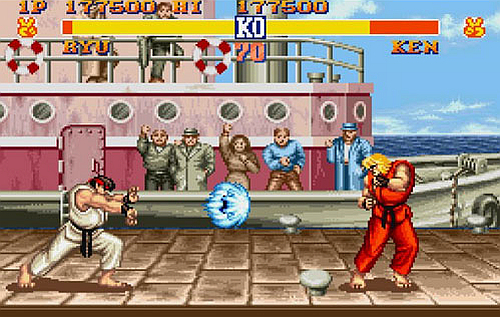 So playing a 2D fighting game is simply a matter of learning the menus as usual, learning all the sounds, learning which buttons perform which attacks, then learning the unique mechanics of the particular game you’re playing. It can then be played as easily by you, the blind person, as it can by anyone else. Proof of this is a visually impaired friend of mine, Carlos Vasquez, who actually went to one of the world’s biggest fighting game tournaments, called Evo, and though he didn’t win, he proved to be a worthy competitor. That’s a victory for all blind gamers. 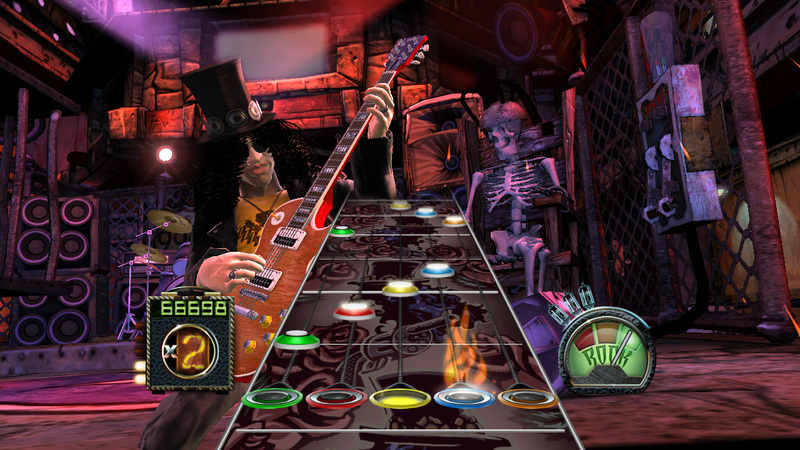 Music games, like Rock Band or Guitar Hero, are another genre that is readily accessible. On the surface, they’re about timing and hand-eye coordination. You’re supposed to watch a series of notes move across the screen, and press the appropriate buttons at the right time. For a blind person, though, the game is different. For us, it’s a memorization game. When songs are imported into Rock Band or Guitar Hero, the notes are not placed randomly. There are observable patterns that you can learn, and once you do, you’ll start being able to predict how a song is played in the game just by listening to the song outside of it. Or, just in case you feel that’s too much for you, you can always sing! Guitar Hero 5 and Rock Band 3 all support singing as another way to play, so if you know the songs in question, grab a mic and belt ‘em out. It is my hope that video game developers begin to realize that us blind gamers are out there, and we want to play their games just as much as sighted gamers do. Yes, we’re a small portion of the market, but that doesn’t mean we shouldn’t get to play. To this end, I’ve become something of an advocate for accessibility in gaming. This started with my web site, brandoncole.net, which contains my own blog as well as audio samples of blind people playing games, including some demonstrations of how they do so. This site gained a small amount of recognition, and thanks to that and some resulting articles I was mentioned in, I got an opportunity to speak at the Game Developers Conference (GDC), a massive gathering of video game creators from all over the world, in 2014. 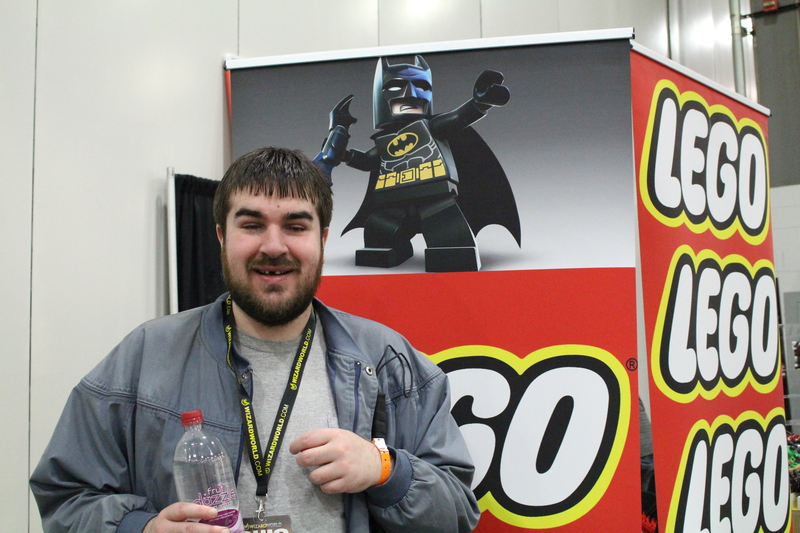 I sat on a panel for a discussion entitled “Beyond Graphics: Reaching the Visually Impaired Gamer.” I spoke of the hardships I encounter trying to play video games, and how I believed any game could be made playable by the blind with some work and some willingness to try new things. The panel was mostly successful, and I spoke to several game developers, both big and small, while I was there. It was a life-changing experience. Nowadays, video games are a large part of my life, both because of the things I do to advocate their accessibility, and just because I still love and enjoy them. They represent challenge and achievement. A success in a video game that wasn’t made with the blind in mind is a much greater success to us when we get there. Imagine playing a song in Rock Band 100% perfectly. For a sighted gamer, this is just a matter of having good hand-eye coordination, watching the screen, and pressing the notes as they appear. For the blind, it means we learned every single note in a song. Trust me, that feels really good. I love video games, and love them more all the time. I love the stories they tell and the experiences they offer. They are gateways to other worlds – even more than movies, because you’re in control. You make things happen. It’s true that, for every game I discover I can play, I ache for those I cannot, but that hasn’t and won’t change the fact that I love video games, and it won’t lessen my passion to keep trying new ones, because hey, sometimes you just never know. 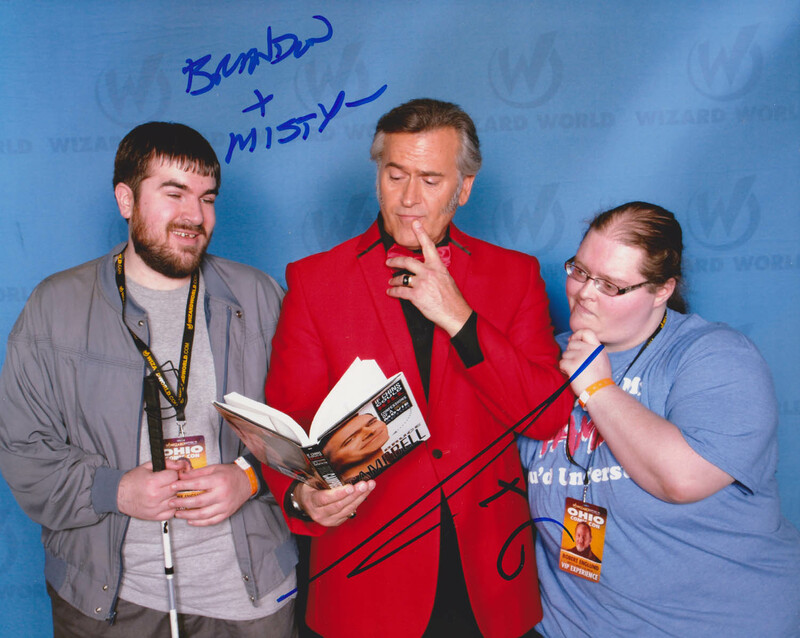 This entry was posted in Modern Technology, Uncategorized, Video Games and tagged Accessibility, accessible technology, blind, Blindness, Bruce Campbell, Evo, final fantasy, gaming, GDC, guitar hero, Lego Batman, Low vision, MABVI, mario, Nintendo, Rock Band, rpg, Street Fighter 2, super mario brothers, technology, video games, vision impairment, Vision Loss, Visual impairment, Visually Impaired by mabvi. Bookmark the permalink.